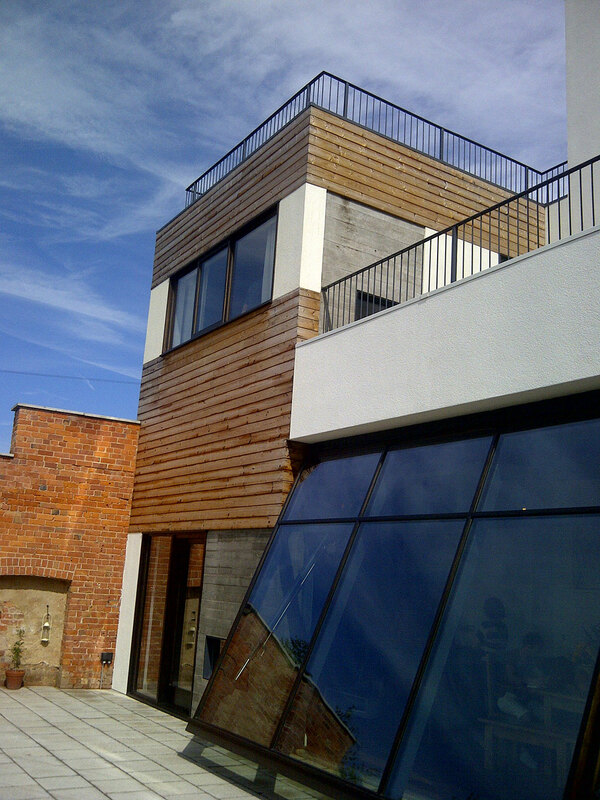 “Timber Cladding has a huge range of benefits, from being highly versatile and modern-looking to energy efficiency. Featuring our ThermoWoodD® Cladding, Grand Designs demonstrated how adaptable timber cladding can be when used in the fabulous renovation of a 1920s cinema. The old Kensington Picture House at Thorne in South Yorkshire was completely derelict when it was purchased by Gwyn and Kate ap Harri. Used as a cinema and bingo hall until its closure in the 1970s, the building was in a very poor state of repair. However, the owners along with their architect, Jeremy Southgate, had the vision to turn it from ruined cinema into a family home. They managed to persuade the local planning authority to grant planning permission for the refurbishment and conversion into a family home, conditional on the building’s distinctive brick façade being maintained. This project used ThermoWoodD® timber cladding, which was machined to a smooth board, secret nail profile so that all fixings are hidden, this gives the rear of the house a seamless, streamlined feel. This is one of my favourite projects that we have been involved with over the years that Bennetts Timber have been manufacturing and supplying timber cladding. The transformation is amazing, the old cinema is now a Modernist house, having retained the brick façade with new white render and timber cladding behind it. 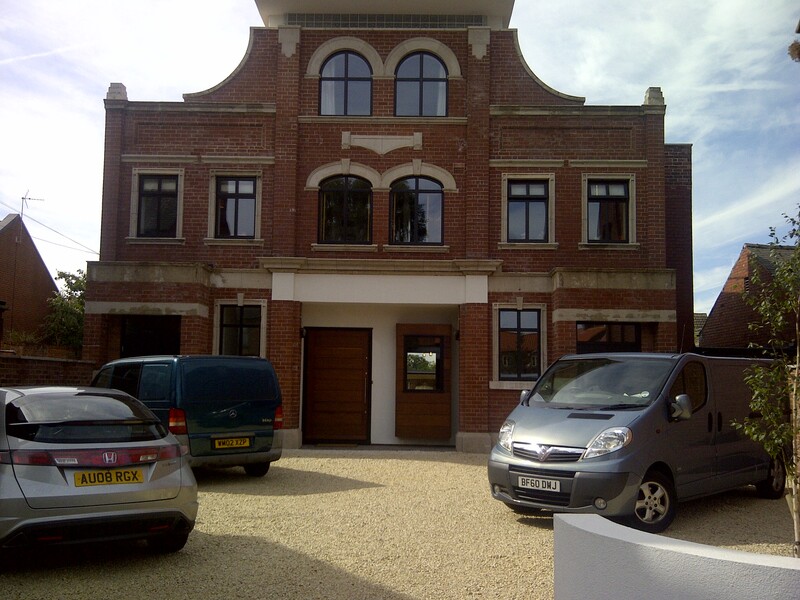 I think that the cladding compliments the white render so well and is a great foil to the brick elevation at the front. Perhaps the best feature of the house is the ‘gwindow’ that Gwyn designed, a huge hydraulic window that opens up linking the living area onto the terrace and garden beyond, an ingenious device! Timber specification: ThermowoodD® 25mm x 150mm machined to BEN SN1 profile . 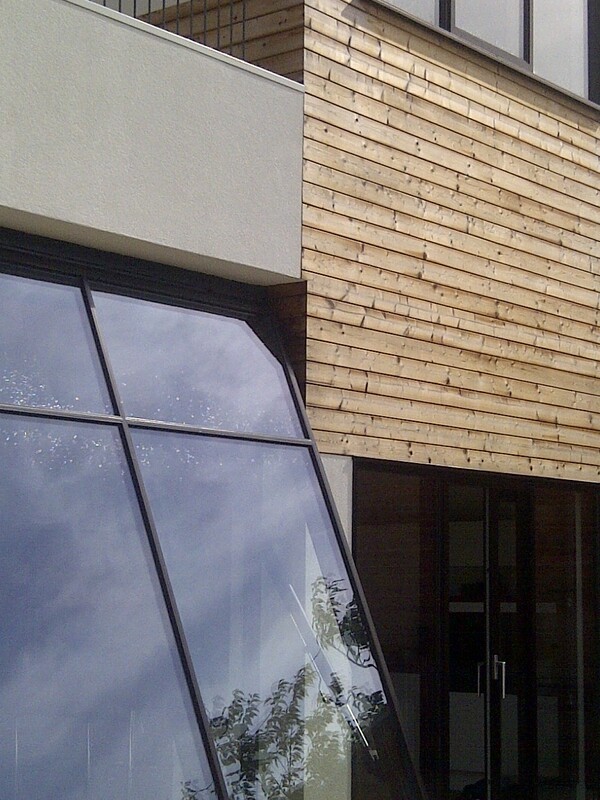 Find out more about Bennetts Timber’s ThermoWoodD® timber cladding. 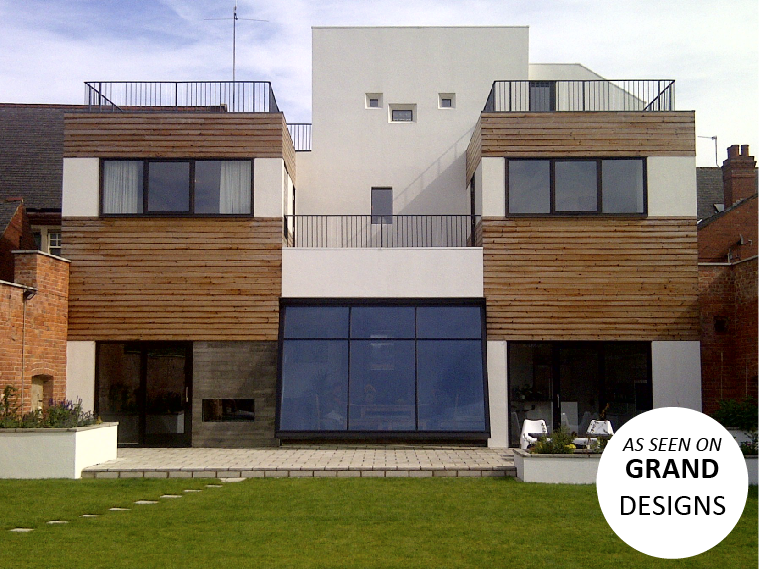 Are you thinking about using timber cladding for your project? We can offer bespoke solutions tailored to you. Just give us a call on 01472 350151 or email sales@bennettstimber.co.uk and we'll be more than happy to help.